Bigg Boss 2017 winner season 10 has been decided already by makers, and it won’t be affected by the public voting in any case as said by an ex-BB contestant and former supermodel Diandra Soares. The journey for the BB season 10 started on October 16 with 14 participants our of which 8 were commoners and 6 celebrities. It will come to an end in the next 22 days. Salman Khan is hosting the reality tv show for some seasons in continuity now. After the regular 14 participants, 4 were added as the wild card entrants out of which three were celebs. For the past three months, we have been witnessing a lot of drama. It’s only about three weeks when the Bigg Boss 10 grand finale will air. check: bigg boss 2016 winner. BB has been the most controversial reality tv show in India. If former contestant Diandra Soares is to be believed then the winner of Big Boss 10 has already been selected. She appeared on the show last weekend. She tweeted the same on her official Twitter handle. 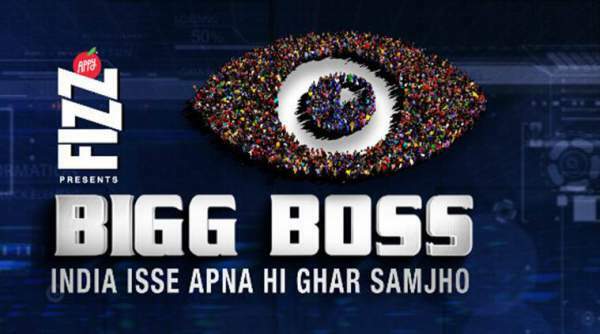 Check: Bigg Boss 10 6th January 2017 Live. Last night, we witnessed one of the most shocking moments in the BB history. Om Swami, probably, became the most disgusting person in the history of the BB contestants. He stooped too low and threw his urine/pee on Rohan, Bani, and others. Before that moment, the makers had turned a blind eye to all of his wrongdoings. But, after that act, the producers threw him out of the house. After the unplanned removal, a sort of debate started all over the Twitter. Diandra Soares got irritated due to the ‘fan war’ going on the micro-blogging site. 1. Sab idhar fan wars mein lage hue hai, phir paise waste kar rahe hai…. udhar sab set hai andar se! Phaltu ke war. Enjoy the show… bas! 2. Ha HAhahaha.. .. please tell me one person who would keep swami in that house with their votes ???? Think … think …. think !!!! With her tweets and messages, Diandra made it clear that people should and only enjoy the show rather than creating fan wars. She stated that everything is already decided and set. Did she mean that maker have already selected the winner of Bigg Boss season 10? The things are getting even more interesting. If the report of Diandra regarding the bigg boss 10 winner is true, we wonder who she/he is. As of now, there are only seven contestants left in the show to compete. They are namely Bani, Rohan, L Raut, M Gurjar, M Lisa, N Kaul, and M Punjabi. Everyone is eager to see who will be the winner. What do you think? Who is your favorite one? Let’s know via comments. Stay tuned to The Reporter Times for latest TV news and Entertainment updates.